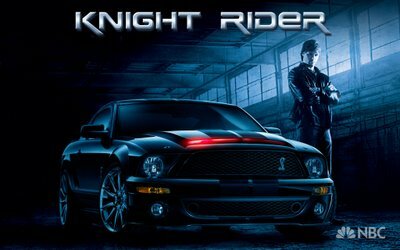 I had a nostalgic moment on Thursday evening: I watched the nearly two hour long pilot episode of the re-incarnation of one of my childhood favourites - Knight Rider and whilst I quite enjoyed it, I'm not sure if I like it or not. The pilot wasn't too bad. There were the odd 80's acting and writing style moments, some of the scenery looked like it had been clipped straight from CSI (Vegas) and the action bits were ok; not brilliant, but not terrible either, but I felt it was missing something which I can't quite put my finger on. 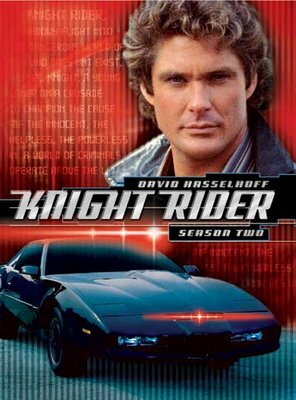 I think the pilot was a little on the long side - the writers were clearly trying to come up with a good story for the first episode and tie this series in with the original, however it took about an hour for the link back to occur (spoiler: and then we had to wait until the final 5 minutes to see The Hoff (the original Michael Knight). I think the last half hour was probably the best part of the whole pilot so I'm hoping the rest of the episodes are more like this than the first hour. That said, I think some of the effects were good and I suspect this may be one of the saving factors for this series: modern digital effects (if done well) will certainly be better than anything they could come up with in the 80's, so I'm looking forward to seeing what they come up with. There is one thing I do like, and that's the new KITT. In the original, KITT was a Pontiac Firebird Trans Am which I never particularly liked. However KITT is now a Ford Shelby Mustrang GT500KR which is a beast of a car and quite fitting I think. I think KITT's true character will shine through in his new chassis with his new voice (Val Kilmer) and it'll be interesting to see if turbo-boost makes a come back (it didn't in the pilot, and if you've seen the new series already, please don't spoil it for those of us who don't have elitest television). So in summary: so far so good. I'm going to have to watch a few more episodes before I decide if this deserves a regular spot on our viewing schedule or if it finds itself on the pile of "the original was better" TV series.